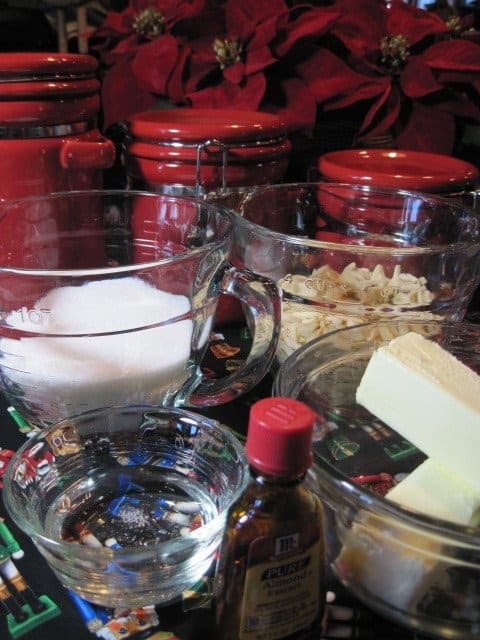 This is a wonderful holiday candy recipe that goes back a really long time in my family. It’s perfect for gift giving and is very quick and simple to make. I hope you’ll give it a try and let me know what you think. Don’t look now but I think these two are just dying for a taste of Almond Butter Crunch Candy. 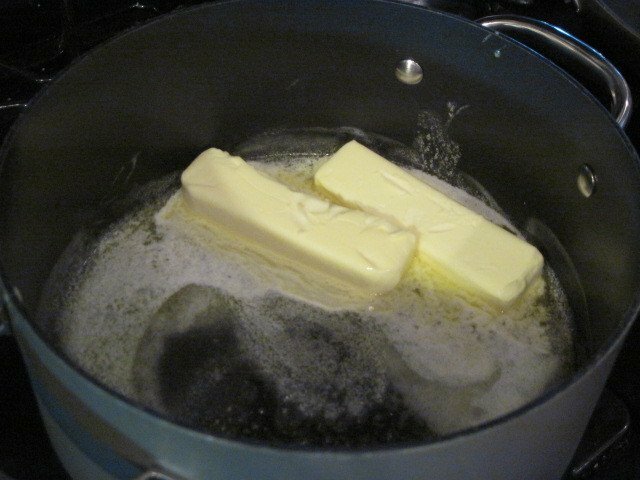 -In a large heavy saucepan pan, over medium heat, melt the butter. 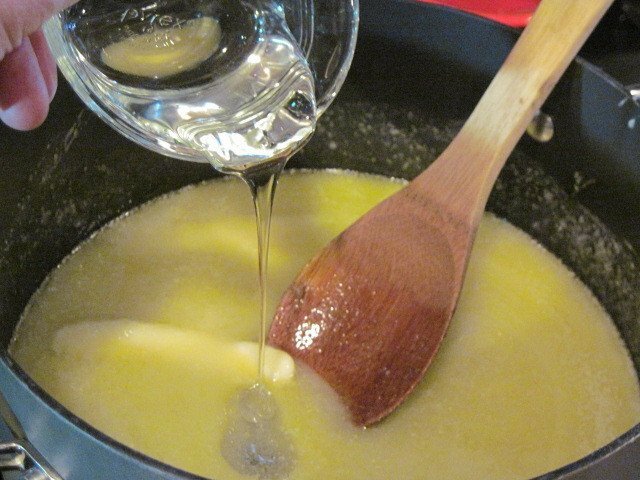 -Add the sugar, increase the heat to medium high, and stir to completely melt the sugar. 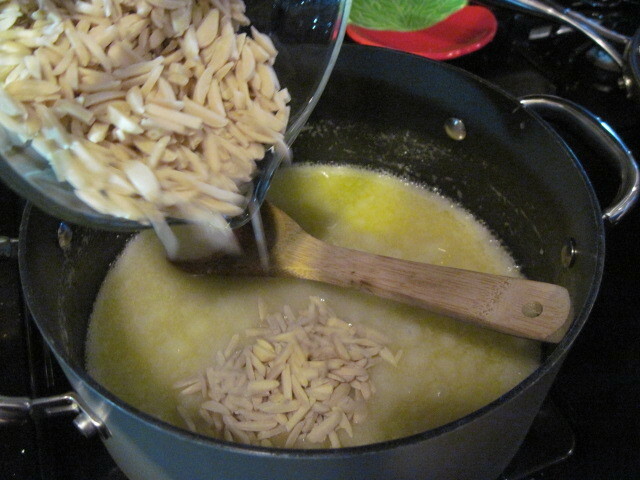 -Add the corn syrup and almonds. 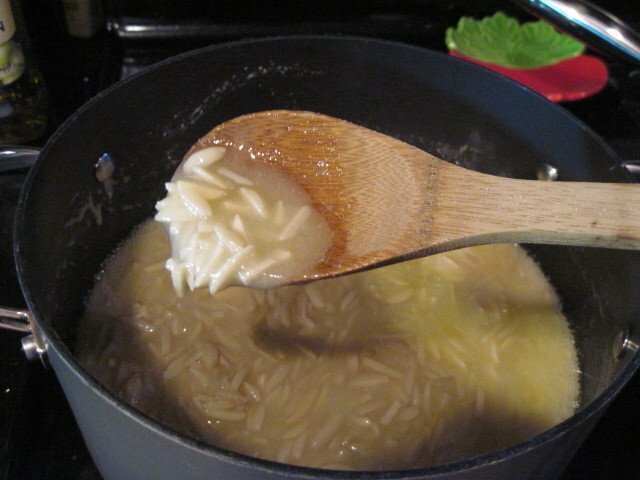 -Continue to cook, stirring often, until the mixture beings to turn a nice golden brown color (approximately 7-10 minutes) being careful not to burn it. 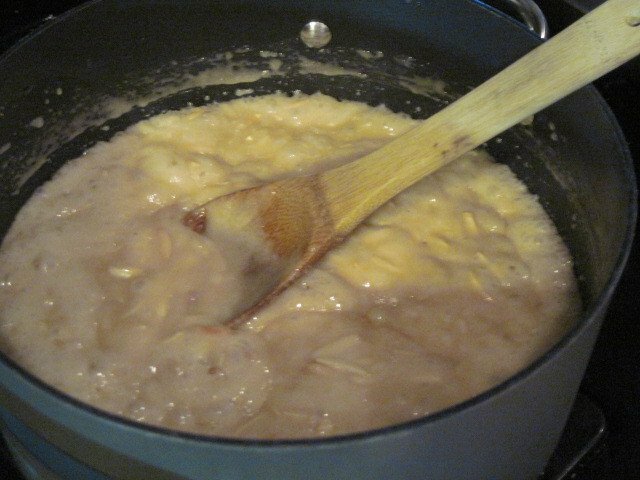 The mixture will also thicken as it browns. 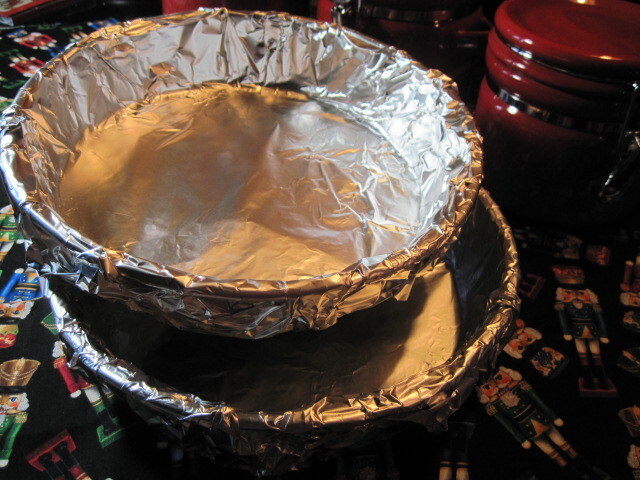 -Meanwhile, prepare 2 – 9 inch round cake pans by completely covering them with aluminum foil. There is no need to butter them as there is a lot of butter in your candy mixture. 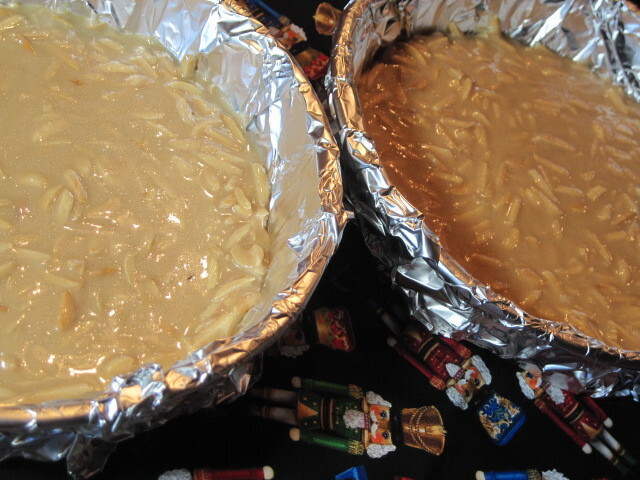 -When your candy is nicely browned, turn it out into the two prepared pans. 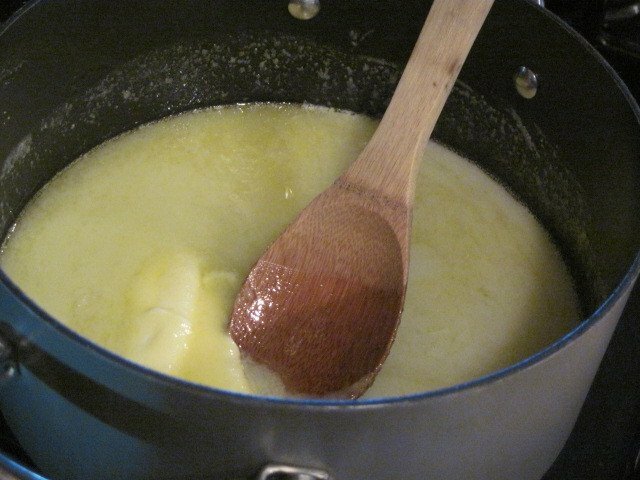 Working quickly but carefully, spread the mixture evenly into each pan. 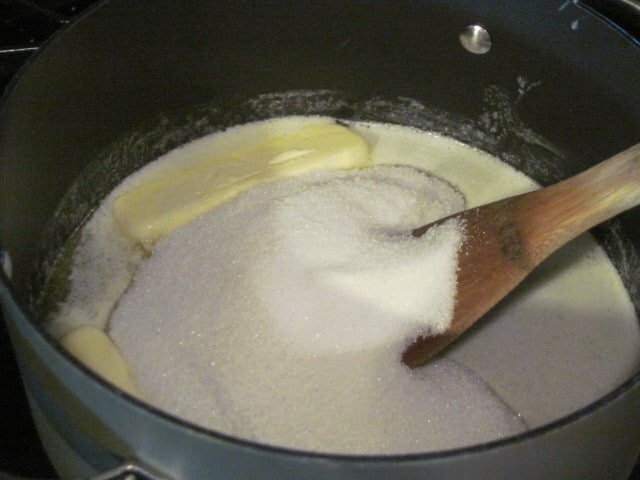 -This is the point I like to sprinkle the red and green sugar on top but that part is completely optional. -Allow your candy to cool thoroughly and then you can remove it from the pan by just lifting out the foil. 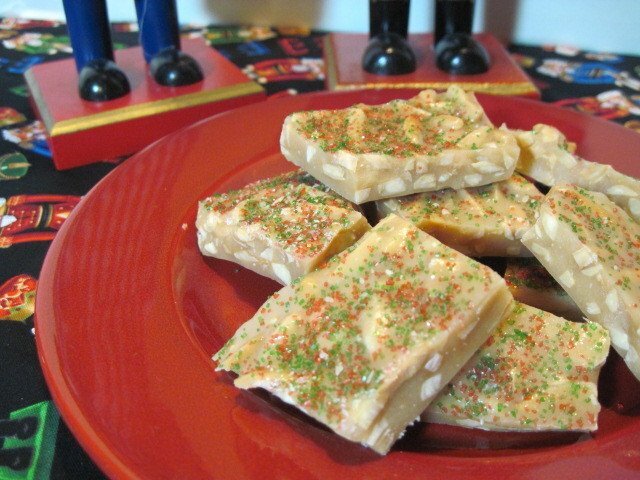 -Break it into bite size pieces and your ready to package it as a gift or serve it anyway you choose. Well, well, well, look here! I guess it pays to be patient and wait. You are rewarded for your efforts!!! Looks good Renee! I love nutcrackers. Wow, this looks delicious! 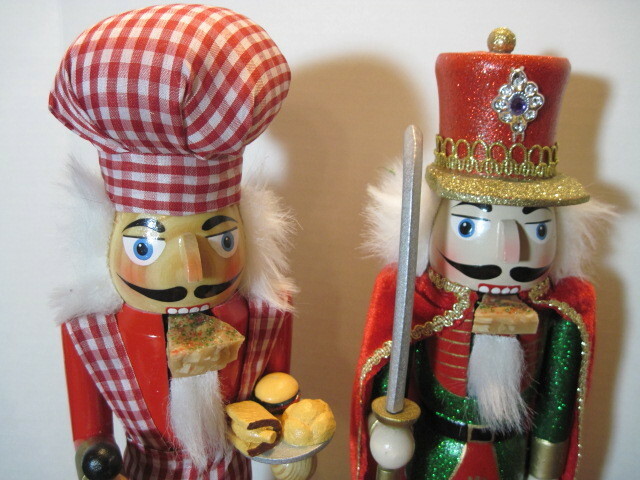 Love that your nutcrackers each got a treat! I think my husband would love this if it were made with his favourite cashews!